« Why Armed Heron TP Drones are No Game Changer for India! Will F-16 vs Gripen E battle spell doom for LCA-Tejas MkII Project? 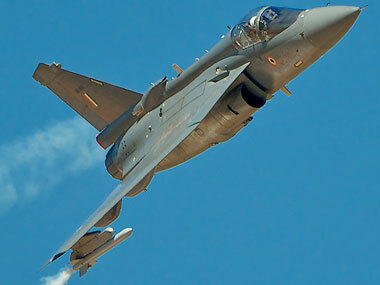 Amid a crowd of media articles penned down by paid journalist with a vested interest, lack of limelight given to India’s local development of LCA-Tejas Mk II which was supposed to replace a large bulk of Mig series of fighter aircraft in India is missing and this is not a good for the project since many vested individuals do want Mk II scraped to promote single engine import fighter jets like F-16 and Gripen E .
DRDO already has lost the support of Indian Navy on the development of carrier-based LCA-Navy Mk II and Navy is now more interested in the development of Naval AMCA 5th generation fighter aircraft and has vocally opposed any need for LCA-Navy MK1 in its current avatar or its proposed LCA-Navy Mk II variant. In a key project like LCA-Tejas Mk II losing one partner even before the first aircraft has been assembled does come has a big blow to the project which is still in advanced stages of development. While Ministry of Defence still wants DRDO to develop LCA-Navy Mk II, Indian Navy can still stay away from the project by not accepting the jet or have limited production only to be used as a technological demonstrator for upcoming AMCA fighter jet which they are interested in. For Air force, Tejas MK-1A as offered as an interim bridge between Tejas MK1 and Tejas Mk II. Upgraded Tejas MK-1A does offer much of the technology which was requested in Tejas Mk II so has to allow developmental time of Tejas Mk II but Single-engine tender floated by current government has put a question mark on the need for Tejas Mk II . Unlike Navy, Air Force is yet to confirm or deny its support for Tejas Mk II program and it seems now that Air force is clearly sitting on the fence and will make a decision once Tejas Mk II aircraft is available for proper evaluation but the production timeline of 2024-25 period is interesting because whoever wins the race for 100 single-engined fighter jet between F-16 and Gripen E will be in full-scale production in that timeline and any adverse evaluation report can be disaster for Tejas Mk II program since people with vested interest in Government and Air Force along with supporters in media can spell end of Tejas Mk II program . Both Lockheed Martin and SAAB are clearly looking for orders which will be bigger than 100 fighter jet which has been confirmed by the Indian government at present. Both Companies are willing to start their facilities in India to manufacture minimum 100 fighter jets in India but will continue to push and explore opportunities for more orders even if it comes at the cost of the scrapping of Tejas Mk II program. Tejas Mk II program needs to be handled delicately by various agencies which are currently developing them, Success of the project is not only crucial but it also will have a direct effect on the next big fighter jet development AMCA program. Without any active backers in Navy and Air force Tejas Mk II program could be scrapped for the most of the silliest of the reasons like ” We have active F-16/Gripen E production line what is the need for Tejas Mk II ? ” or ” Why Air force doesn’t need more of single engine fighter “.